Invitation: A festive design and warm greeting will get everyone excited for a good time. A paper invitation is a great way to set the tone for your event. Menu: A printed menu for a sit-down meal adds some elegance and lets your guests know what delicious food they can look forward to dining on. Place Cards: If you are having more than a dozen people, it’s a good idea to use place cards. This will cut down on the chaos by giving your guests direction, and a pretty design brightens up the table. Thank You Cards: A heartfelt note telling your guests how much you enjoyed their company goes a long way, and if a hostess gift was given or food item was brought, letting them know how appreciated it was is a must! 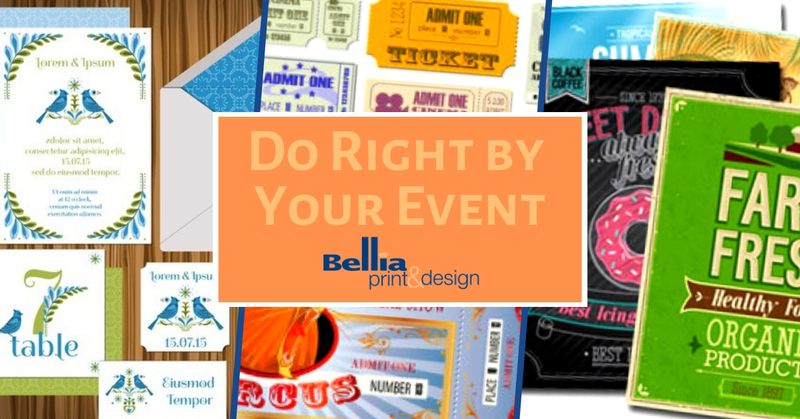 Bellia Print & Design has a talented graphic design team and a variety of paper options to choose from. 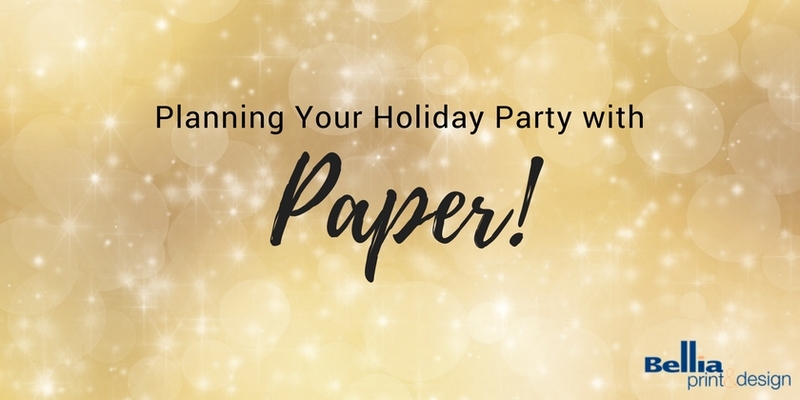 We’d be happy to help you design your holiday party stationery! All of your area’s vendors will be under one roof. This is a great way to view (as well as listen to and taste, in some cases) everyone’s work, ask questions, figure out prices, check on availability and see who you click with. You’ll find inspiration everywhere. If you don’t have any ideas about what you want going in, you will certainly leave with some. For example, you can check out the latest trends in bridal gowns during the fashion show, visualize floral combinations and colors, and decide between fondant or buttercream when it comes to cake options. Many shows have chances to win fabulous prizes, like roundtrip airfare or a free wedding gown. 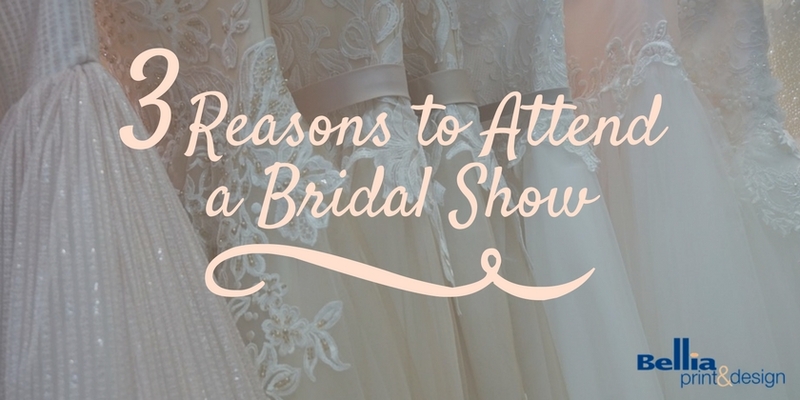 Looking for a bridal show near you? 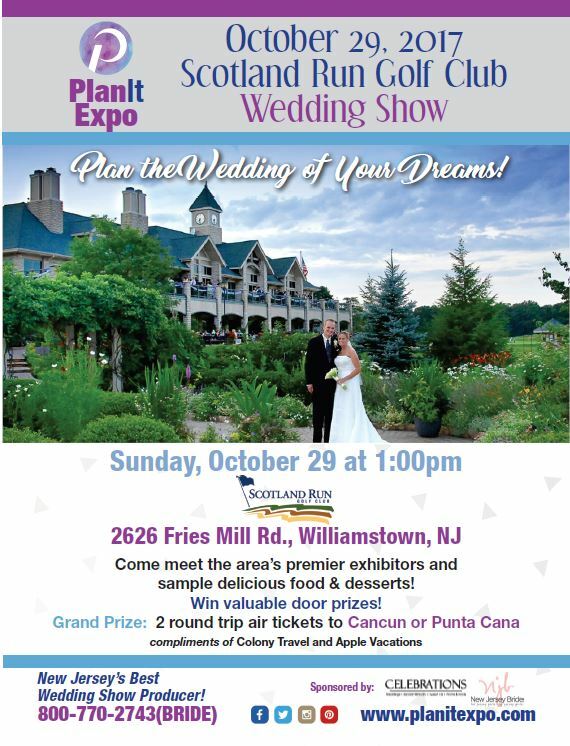 Come join Weddings by Bellia at the Fall Wedding Expo taking place on Sunday, October 29, at the Scotland Run Golf Club in Williamstown, NJ at 1:00 pm. 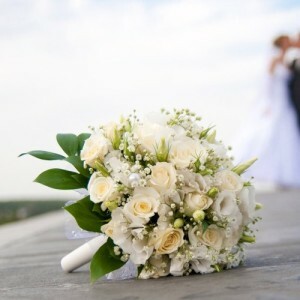 Visit us to view our work, including Save the Date cards, invitations, seating charts, and more. We really hope to see you there! For more information or to RSVP, please visit PlanitExpo.com or call 800-770-2743(BRIDE). The team at Bellia can create beautiful Funeral Tributes. Our staff is comprised of caring individuals who work with our customers to produce quality memorial keepsakes to honor their loved ones. 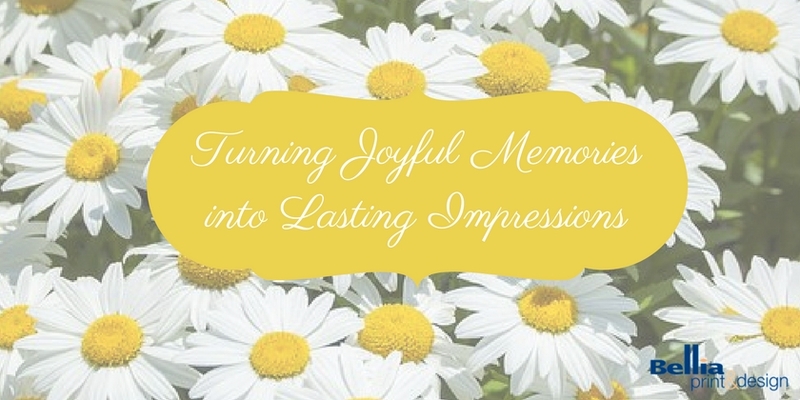 We offer prayer cards, bi-fold picture brochures, bookmarks, thank you cards, and portraits – everything needed to help families memorialize their loved ones. While we offer hundreds of themed templates, our in-house graphic designers are also happy to create customized designs. Hang an awesome banner: Make it pop with bold colors and creative imagery to intrigue potential customers enough that they want to come over and see what’s inside. Display your banner in a spot where it can be easily seen. 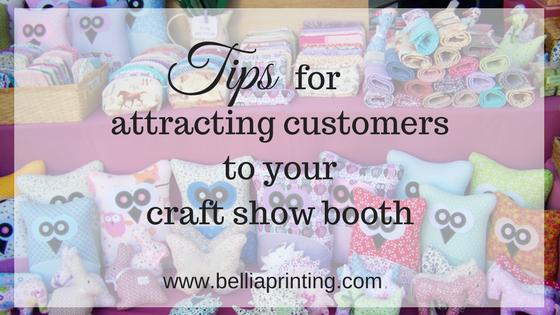 Use a backdrop: With a custom backdrop you can make your customers feel like they are at a quaint boutique, instead of at a festival with hundreds of other vendors and a huge crowd. Provide business cards: Art fairs and craft shows are busy, and people may get distracted. Keep a stack of business cards on the table where they are easily accessible. Make sure to include a website, so the potential customer can check out your offerings at a later time. Have brochures readily available: People may want to know your background and/or information about your items. If you are busy with other customers, your brochure may answer their questions and help them decide if they’d like to buy. Display signage: Make it easy for the customer to know what they are looking at and what the price is with clear, custom signage. At Bellia Print & Design we have a fantastic team of experienced graphic designers who can help you create unified branding and a great design to bring the most customers into your booth. 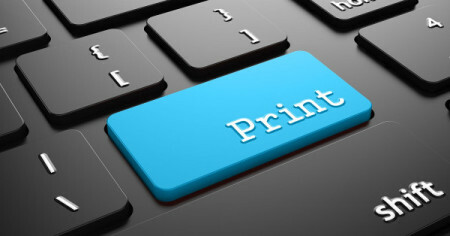 We are proud to announce the launch of our new website, www.belliaprinting.com! We hope our new website provides more information to clients and is easier to use.